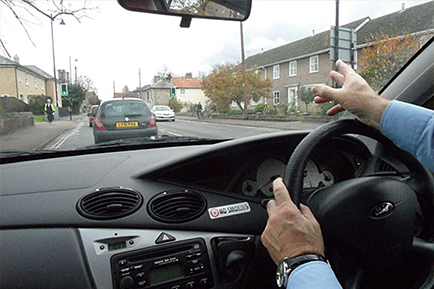 There aren’t many drivers who have been behind the wheel for years and have a totally clean licence. Even the best driver makes mistakes. It’s easy to pick up three points for being slightly over the speed limit. Usually, the only implication is an increase on your insurance premium for the next year. However, if you are applying for disclosure checks for a new job, those driving offences might come back to worry you. Will speeding point appear on a disclosure form? The key is working out whether you have committed a crime or not. You will need a disclosure check for a wide range of different occupations. This type of check is also known as a criminal records check, or a DBS check. The type of check will depend on the type of job. Certificates will show details of your criminal record, including cautions. In most cases, the police will filter out, or leave off, any old information which isn’t relevant to the position you’re applying for. Some serious offences can be disclosed years or decades later. There’s lots of information about the Rehabilitation Of Offenders Act online. This can help you work out whether old convictions are “spent” or not. Most driving offences aren’t “crimes”. If you’re caught speeding, going through a red light or using your mobile phone while behind the wheel, you won’t be asked to go to court. The police officer who stops you gives you a fixed penalty fine, and a certain number of points on your driving licence. Pay the fine, and in a couple of years the points come off your licence again. No crime has been committed, and you won’t have to declare the fine or points to anyone other than your insurer. If you are unsure about what is happening, ask the police officers. They will be happy to explain the law and tell you whether you’re being charged with a crime, or issued with a fixed penalty notice. If you’ve done something more serious, it has to be dealt with by a magistrate or other court. This is where offences pass the line into “criminal”. This includes matters such as drink driving, refusing to give a sample of breath to a police officer, or leaving the scene of an accident. Courts deal with things like causing an accident because you’ve been on the phone or speeding. You won’t get just a fine from the Police for these serious offences. These offences will appear on your police record, and also on any disclosure checks. It’s always sensible to get legal advice, whatever your trouble with the law. A solicitor specialising in motoring law will be able to tell you the full implications of what you’re being charged with. In short – a couple of speeding fines aren’t going to show when you apply for a disclosure certificate. If however you’ve done something more serious like drink-driving or being involved in a hit and run, it probably will. Previous: Previous post: Gambling Licences – Do You Need One? Next: Next post: Criminal Record – Do I Have to Tell My Employer?